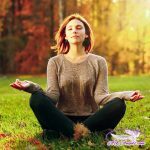 What is mindfulness meditation and how can it help you? Have you ever asked someone a question, and then not listened to his or her answer? Have you ever found yourself at home thinking about work, and then at work you seem to keep thinking about home? Or maybe you’ve met someone new and realized you forgot their name the second after they told it to you? How often are you fully present in the moment rather than thinking about the past or future? We all have the ability to be present, but most people only experience tiny moments of presence before jumping back into thought, doubt, or worry. This lack of presence may seem innocent, but it has a long list of side effects! Stress, anxiety, frustration, lack of focus, and feeling frazzled are all side effects of bouncing from one thought to another, rather than being right here, right now. Fortunately, there is another way… It's called mindfulness. Mindfulness is a state of being where you are relaxed, aware, and paying attention to whatever you are doing in the present moment. If you're sitting on a bench, you're fully there on the bench, not thinking about another person, place, or point in time. When you're in a state of mindfulness you're able to experience what is called open attention. You're paying attention, and observing your thoughts and feelings as if from a distance. This passive oberver mode, allows you to be present and oberve without judging your circumstances, thoughts or feelings as either good or bad. You're simply observing, with a keen presence and attention to detail. Mindfulness is a simple form of meditation that can be practiced at virtually any point in your day. It is the process of living in the moment, and becoming fully present, and awake in the exact moment you are in. You bring your attention fully into the present moment and let go of judgements and, thus, they stress, anxiety, and fear that appears as a result. And all we have to do to accomplish this is to take control of the mind, and focus our thinking right where we are. A person that practices mindfulness is said to have better memory recall, both long-term and short-term, as well as stronger decision-making capabilities. Equally as important, mindfulness has beenscientifically proven to lessen the risk of heart attack, decrease blood pressure, aid in digestive health, and even strengthen your libido! But mindfulness can be done from the comfort of your home… with no drugs or equipment necessary. And without ANY negative side effects and tons of positive ones. The emotional benefits of mindfulness are just as impressive. The practice reduces stress, alleviates depression, anxiety, and promotes acceptance. It brings you into a state of receptivity where you can tune into the blessings of Spirit, and the guidance from your team of angels. Mindfulness does this essentially by getting your mind off of autopilot… where you think, say, and do literally whatever your subconscious tells you to. Essentially, this “autopilot” mode is your ego bossing you around. And it has led to all of your bad habits, biases, and anxieties. Simply enjoy life in the present moment, exactly where you are! Sitting, walking, eating, working, washing dishes, and so on. But, for those new to mindfulness, it’s best to start building up this practice in a quiet spot without unneeded distractions. This could be your bedroom or any room where you can close the door, and be at ease, without interruptions or distractions. Yes, of course, mindfulness is something you can practice anytime and anywhere. A peaceful and quiet location, however, is helpful to start. 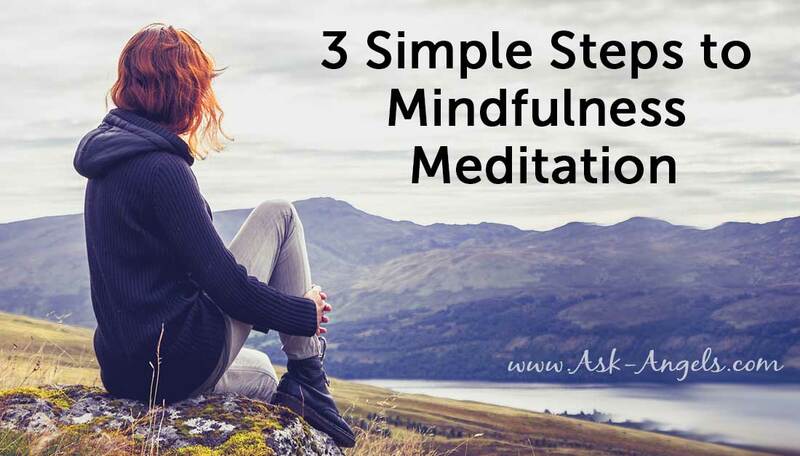 Practicing mindfulness in a way that is easier initially will help you to build the skill so you can then leverage it in more stressful situations and chaotic locations. So once you’ve found a peaceful location where you won’t be disturbed, find a comfortable and relaxed position. In other words, you’ll want to find a position that can be effortlessly maintained. This means avoiding sitting in that old, rigid wooden chair, or lying down on a hardwood floor. Instead, try the couch, on a meditation cushion or a comfortable chair. Once you choose your location, it’s important to be centered. 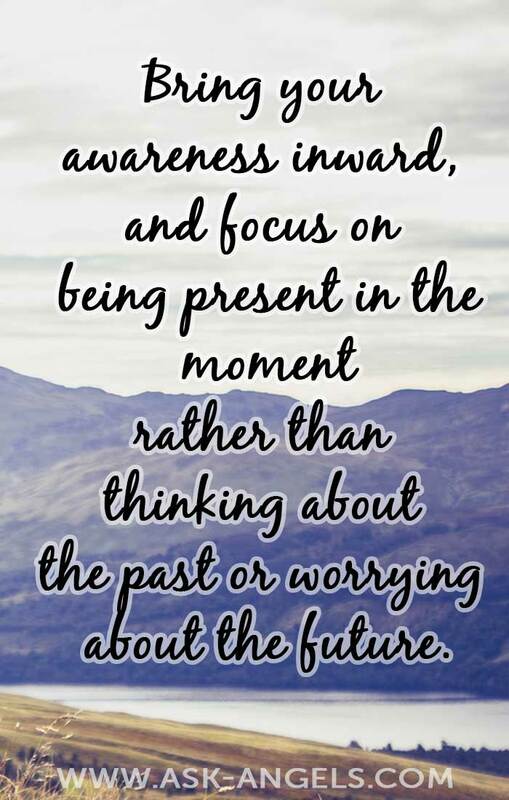 This means bringing your awareness inward, and focusing on being present in the moment, rather than thinking about the past or worrying about the future. It also helps if you sit it in a way that isn’t hunched over or stiff and one that keeps your core relaxed. Once you’re quiet, comfortable, and centered, lightly place your attention on your breathing. Observe as it effortlessly rises and falls… much like the flowing in and out of the tide. When a wave ripples up onto the shore, at its peak, it doesn’t immediately dive back into the ocean… it slowly begins to recede… steady and peaceful. Just like the tide, allow your breath to ease in and out of your lungs. Observe the bliss of your breathing. Some like to close their eyes during this process. But do what works for you. If you find that with your eyes closed it’s easier to focus, then by all means. 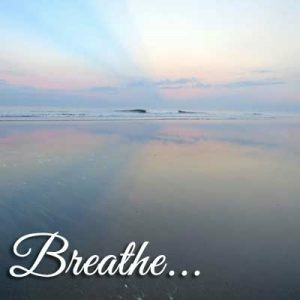 Click Here to Learn More About Breathing to Increase Awareness! One thing many people believe when they hear the word, “meditation” is that, in order to do it properly, they are not allowed to think. This is the case in some forms of meditation, but not so with mindfulness. With mindfulness meditation, you are perfectly at ease to think, sense, and feel whatever arises. Through this, you remove the judgments and anxieties that define your conscious. You acknowledge your thoughts, and feelings instead of chasing them like a rabbit down a dark hole that leads to anxiety, depression, and hopelessness. With mindfulness meditation instead of trying to stop thinking, you become fully present in whatever you are doing or experiencing. Bring your attention back to where you are sitting in your quiet room. Become aware of how it feels to be sitting, the feel of the chair beneath you, and the ground below that. Notice the air temperature, the sounds, and feeling of your space. Notice how you feel in your body, and just, for now, enjoy simply breathing, being, and becoming fully present with yourself here and now. With practice, you can then do this anywhere. You become fully aware of yourself washing dishes, walking down a trail, or brushing your teeth. You shift into the perspective of the observer, into fully being and experiencing the present moment. 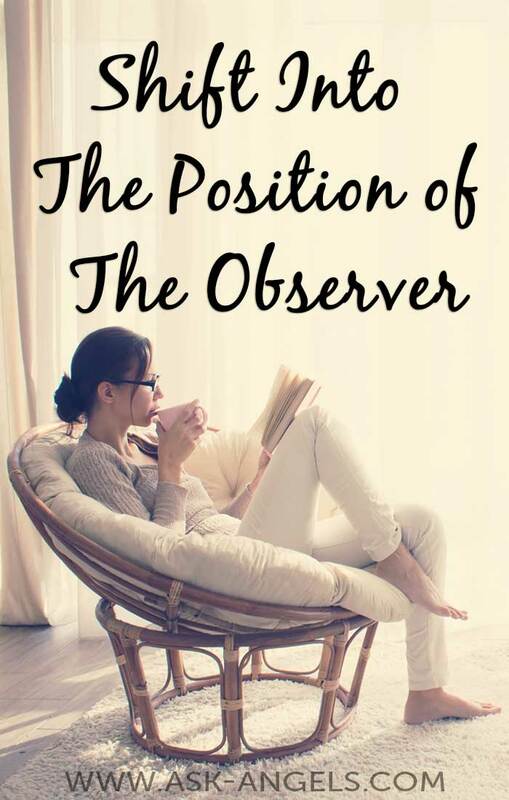 So how can you actually become the observer of your thoughts? For starters, when you’re practicing mindfulness, you are not attempting to solve any problems. That is the job of the ego, and by constantly attempting to solve problems, the ego often finds problems that aren't really there! With mindfulness, all you’re trying to do is come to an understanding and acceptance of how you feel, and the state that you’re in. Once you realize that you’re allowed to think whatever you’d like as long as you’re observing your thoughts, you’ll realize that your thoughts really weren’t going anywhere anyway! With mindfulness, it's like you’re now driving the car. Before, you were just a passenger. You believed that your mind was taking you where you wanted to go. But now can you see your mind was just driving you around in circles! Maybe you hear a sound and your ego takes back over to help you decipher the source, or a light flickers through the room and you begin to wonder where it came from. Before you know it, that flicker has taken you out of the moment, your mind now back in the drivers seat begins to run. It reminds you of your challenging day, obligations, or unknown future which then leads to worry, which in turn leads to irrational thought, and suddenly you're somewhere else entirely! Much like the tide and, breathing, when this happens, you can just gently ease your minds back to the present moment. You can start off today with 5 minutes, 15 minutes, or as long as you’d like. The more you practice, the easier it is to place your mind in a state of the Divine Now. Once you practice mindfulness enough, you will come to realize that we are all born anew in each moment. That the future is always one second ahead of us. The past, one second behind. And the only time we actually have is right in the present. P.S. If you'd like a guided mindfulness meditation, you will find one in the Spiritual Tool Kit! Thanks for the reminder about mindfulness Your message was loud and clear as if this was sent to me personally. Thanks much gratitude and blessings. This is such an amazing article. 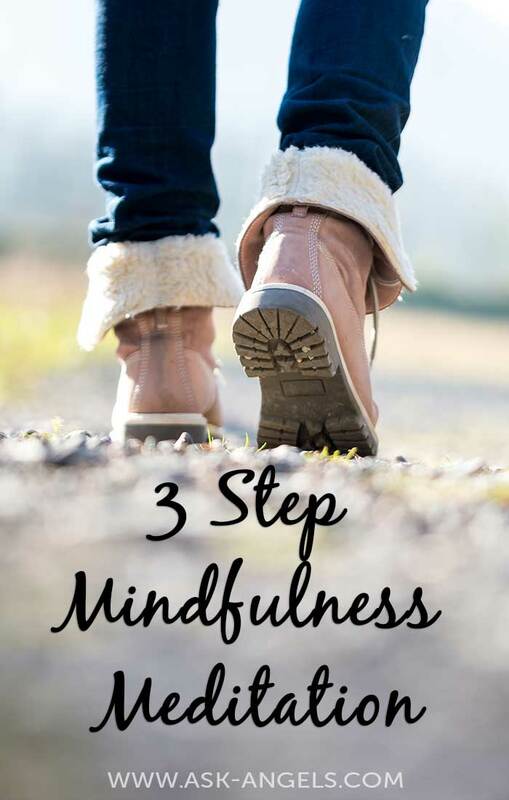 Mindfulness can help us change our routine with no cost and with only simple but effective tips. You are so right, it really doesn’t matter where you are or what you are doing. As far as you are and feel present with every little thing, then you are already practicing mindfulness. Keep it up with the amazing work!